TrueCommerce a provider of EDI translation software (Transaction Manager Desktop and Transaction Manager Online) announced today that they’ve been acquired by Eden Prairie Minnesota-based HighJump Software. 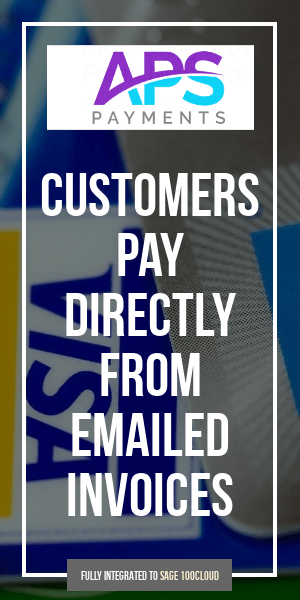 TrueCommerce indicated in a lengthy Frequently Asked Questions section on their web site that none of their 3,000 users will experience a disruption in service. HighJump Software has just gone through a management change in the past year. In April 2010 former Healthvision Software CEO Russell Fleischer was named its new chief executive replacing Timothy Campbell who had held the post since June 2008. Since 2005 HighJump had been a part of 3M until being sold in 2008 to Battery Ventures, a technology venture capital and private equity firm. At the time of the sale they were listed as having 350 employees. Presently the company’s LinkedIn project lists 253 employees. Minneapolis, MN – September 27, 2010 – Today, HighJump Software announced it has reached agreement to acquire TrueCommerce, a provider of business-to-business integration solutions. TrueCommerce provides a comprehensive end-to-end suite of trading partner connectivity solutions including EDI translation and data mapping software, transaction network and on-boarding services. TrueCommerce solutions enable trading partner connectivity for 3,000 customers, features predefined integration to many major ERP systems and can be deployed in either SaaS or on-premise models. The TrueCommerce trading partner integration solution complements HighJump Software’s existing supply chain application suite which spans from supplier to store shelf and includes warehouse management systems, transportation management systems, route accounting systems, manufacturing execution, mobile sales and ERP data collection. Trading partner collaboration is increasingly important as organizations strive to reduce costs and improve service levels. By combining integration solutions with application functionality, organizations are able to ensure consistency in business processes and accuracy of information exchanged with trading partners. HighJump Software is a global provider of supply chain management software that streamlines the flow of inventory and information from supplier to store shelf. More than 1,500 customers worldwide have transformed their supply chains using HighJump Software. HighJump Software solutions for distribution and logistics, direct store delivery, mobility and manufacturing include: warehouse management systems, transportation management systems, route accounting systems, manufacturing execution, mobile sales and ERP data collection. Functionally rich and highly adaptable HighJump Software solutions support growing and evolving businesses in distribution, food and beverage, 3PL, retail, healthcare and consumer goods industries. 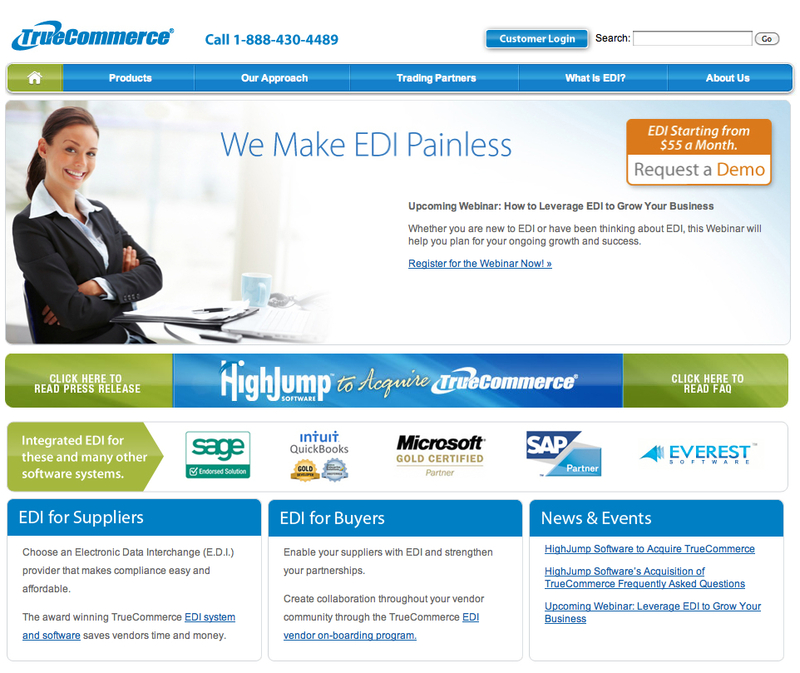 TrueCommerce, Inc. provides everything needed to fully implement EDI from one source. Since 1995, our mission has been to make EDI painless by providing a comprehensive, end-to-end EDI solution that is easy to use, robust, and affordable. TrueCommerce is recognized as the exclusively endorsed EDI solution for use with Sage’s financial applications and has earned Microsoft’s highest standard for partner-developed software solutions. Additionally, TrueCommerce is the only EDI solution selected by Intuit as a Preferred Solution for QuickBooks Enterprise Solutions. The TrueCommerce award-winning solutions are used by small and mid-size businesses to exchange tens of millions of EDI transactions annually within a variety of industries including retail, banking, healthcare and government. Signal Hill Updata acted as sole financial advisor to TrueCommerce in this transaction. HighJump is a trademark of HighJump Software Inc. Other names and trademarks may be the property of their respective owners.